David H. Freedman has an excellent cover article in this month’s Atlantic Magazine. It’s 11 pages. If you don’t have the time to read it all, here is my annotated short version plucking out my favorite lines from which you can get the overall gist of the article. It’s about the truth when it comes to fighting the obesity problem, which has been distorted by the “Pollanites” (followers of bestselling “eating healthy” author Michael Pollan). It’s also about the hazards of storytelling. WE HAVE FOUND THE DEVIL IN OUR SOCIETY AND IT IS PROCESSED FOODS! In film school they taught us, “Your story is only as good as your villain is evil.” What Freedman points out is that the “Pollanites” are wanting to tell the most compelling story possible, which drives them to cast their villain (processed foods) in the worst terms possible — to the point of calling it, “foodlike substances” (quoting Michael Pollan himself). Which ultimately drives their credibility down to the same level as the worst junk food marketers at the other end of the spectrum. In February I saw that one of my journalist heros, David H. Freedman, was coming to town to moderate a panel discussion on health food messaging in the media. He wrote the a-mazing article in the Atlantic three years ago titled, “Lies, Damned Lies and Medical Science,” that showed what a mess of false positives the biomedical science world is drowning in these days. Ever since then I’ve been a rabid fan of his writing. I emailed him, hoping to meet him while in town and ended up managing to accompany him to the upscale health food restaurant in Beverly Hills, Real Food Daily, that he talks about at the start of the article (I even tasted the lawn clipping mulch beverage he ordered — blech). He’s a truly great writer and this article is another one of his excellent, critical exposes in which he simply tries to get to the bottom of things. The article is pretty lengthy, so if you don’t have time for it all, here’s my favorite lines from it (with commentary) by sections. It’s such a good article. 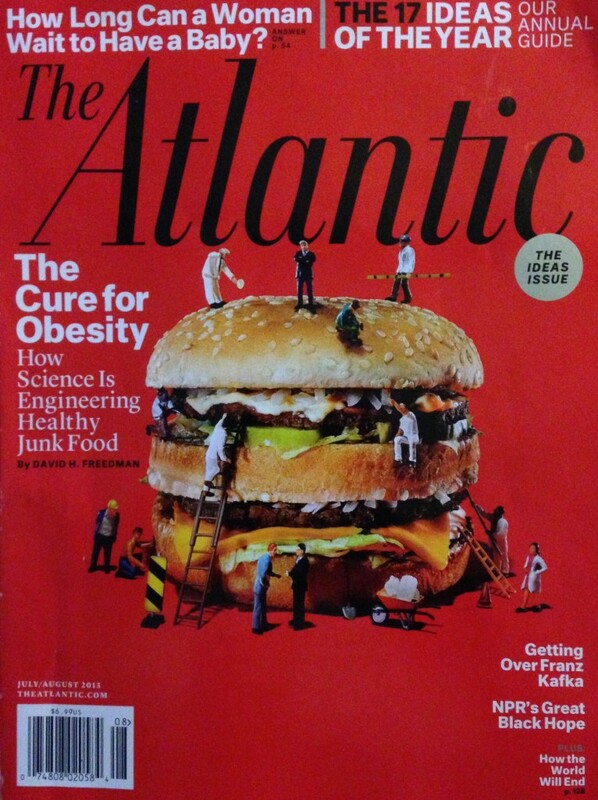 The problem/conflict is the gulf between the “poor obese” and the affluent moralizing wholesome eaters. There are ways to improve things, but hurling insults at the makers of junk foods is no more likely to solve the problems than hurling the same insults at climate skeptics. Doesn’t work, and just creates a voice that is not liked, which Nobel Laureate Daniel Kahneman last year told us is a bad idea.